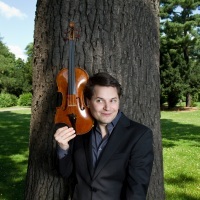 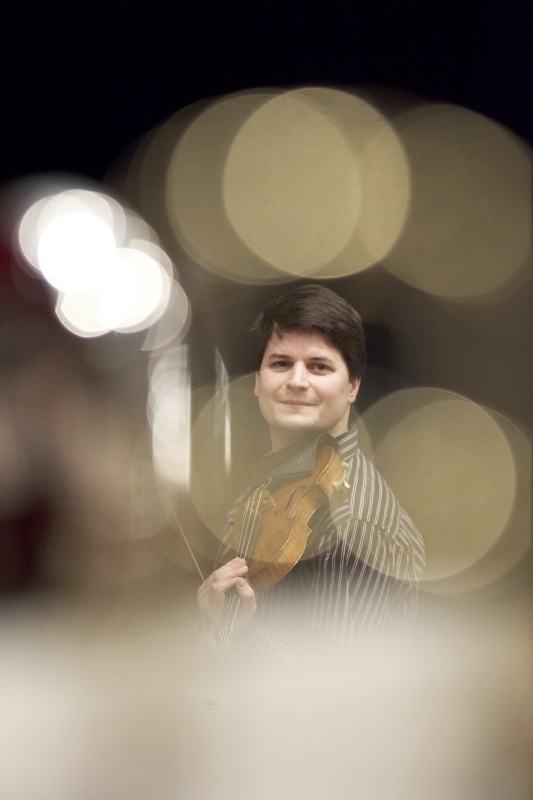 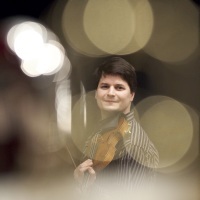 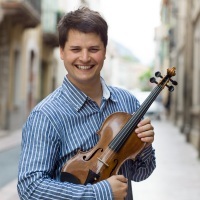 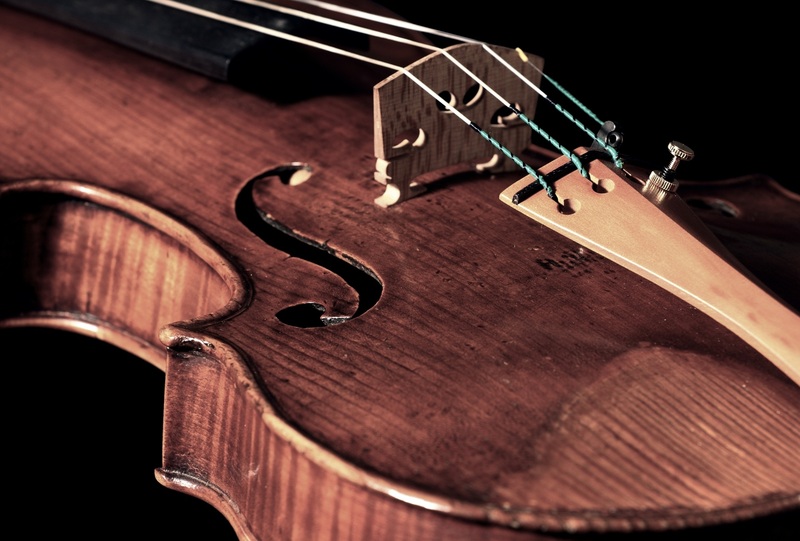 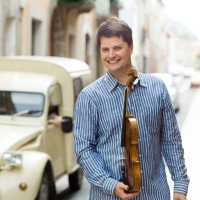 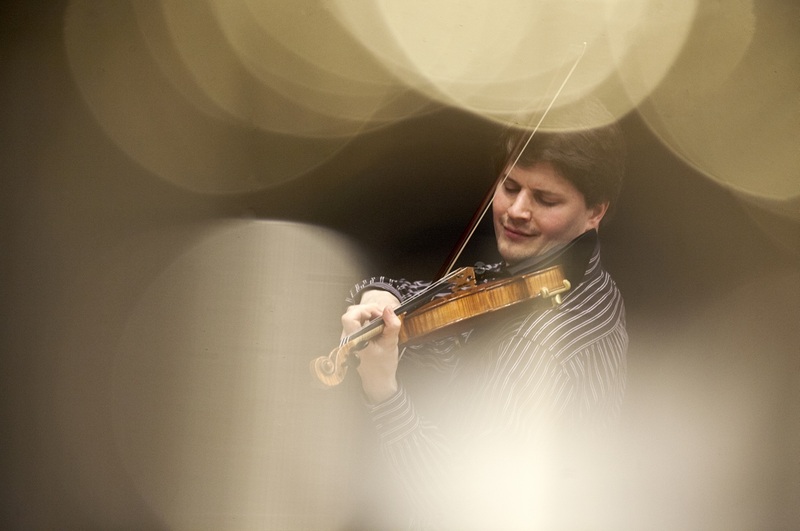 Called a ‘most talented violin virtuoso,’ Roman Patočka’s colourful musicality and bravura technique make him a prominent figure among the young soloists of his generation—a talent that has captivated audiences worldwide. 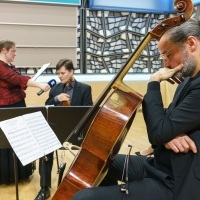 After completing studies at Prague Conservatory with Dagmar Zárubová and at Prague’s Academy of Performing Arts, studying under Ivan Štraus, Patočka continued his studies abroad—first in Utrecht with Keiko Wataya, and later in Lübeck with Shmuel Ashkenasi. 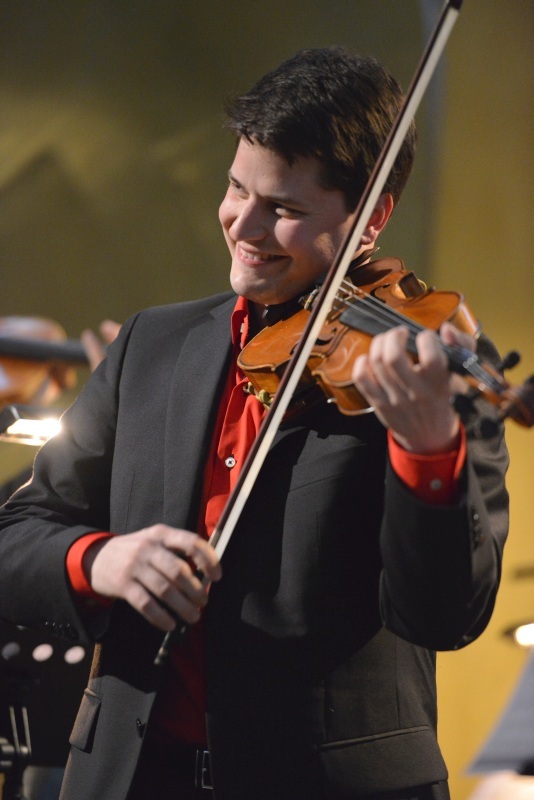 In 2009, he received his Masters from the Musikhochschule Hanns Eisler in Berlin as a student of Stefan Picard. 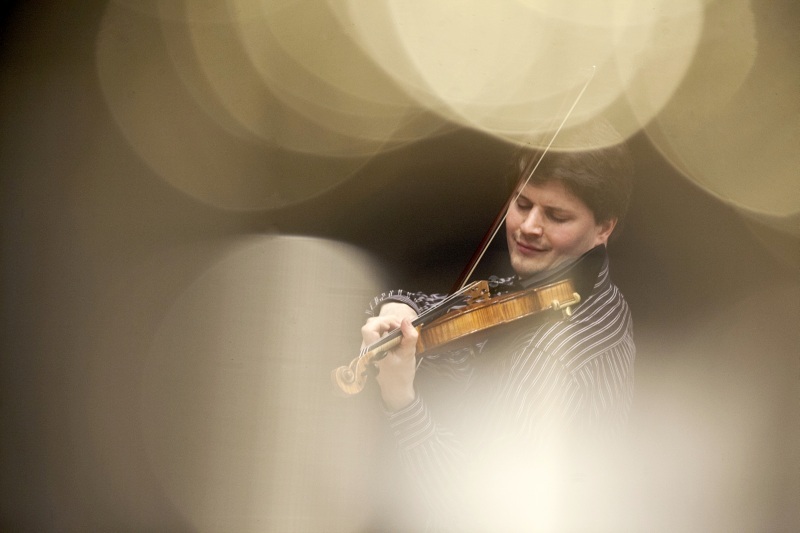 Patočka has performed extensively with some of today’s most renowned musicians. 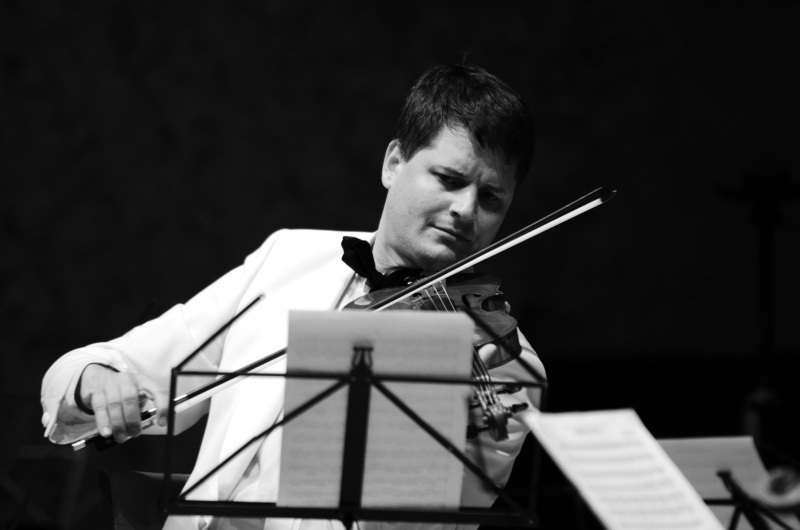 He was a participant of the International Musical Academy in Montpellier, as well as the Keshet Eilon Music Centre festival in Israel. 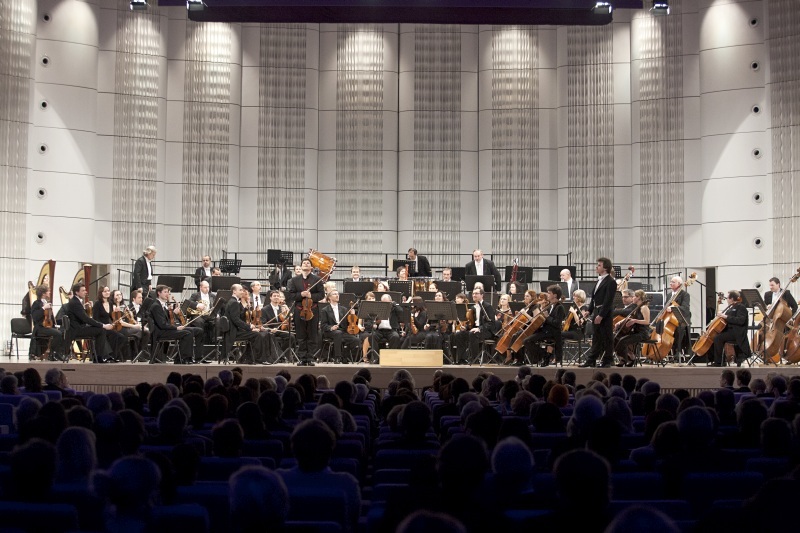 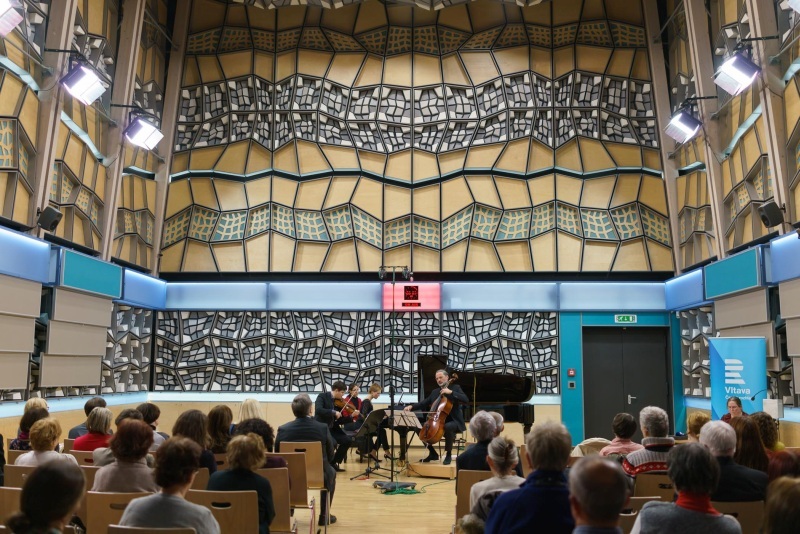 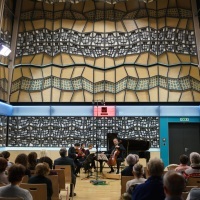 Other appearances have included the Ravinia Festival’s Steans Institute in Chicago, and the International Summer Academy in Semmering, Austria. 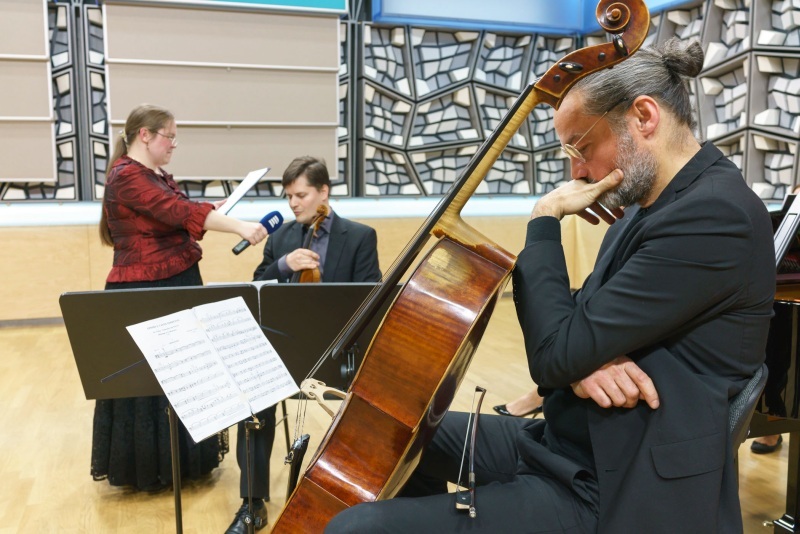 His love of chamber music led to masterclasses with luminaries such as Ruggiero Ricci, Stephen Shipps, Hagai Shaham, Ida Haendel, Georgy Pauk, Vadim Gluzman, Gidon Kremer, Daniel Barenboim and Menahem Pressler. 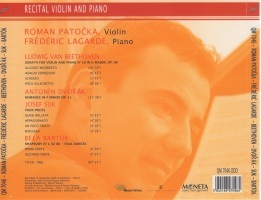 Patočka’s talent and raw musicality have been recognized worldwide. 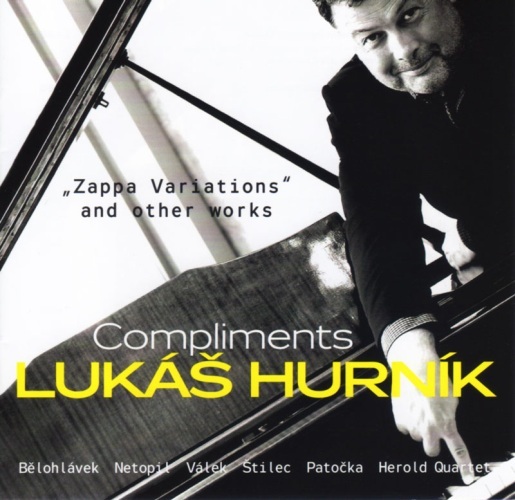 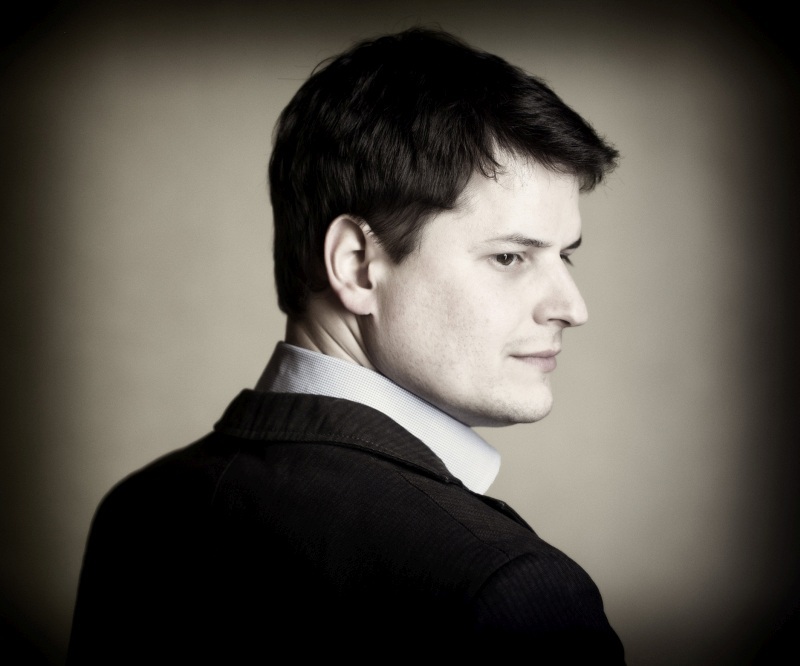 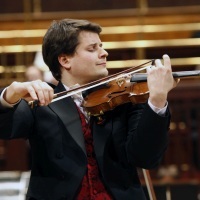 In 2003, he was awarded second prize with four special awards at the Prague Spring Competition, and in 2004 was awarded the Yamaha Scholarship and became laureate of the International Competition of Václav Huml in Zagreb. 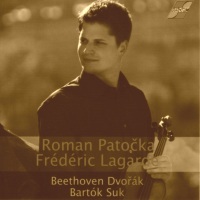 Three years later, Patočka earned second prize at the Max Rostal International Competition in Berlin, and third prize at the International Pablo de Sarasate Violin Competition in Pamplona. 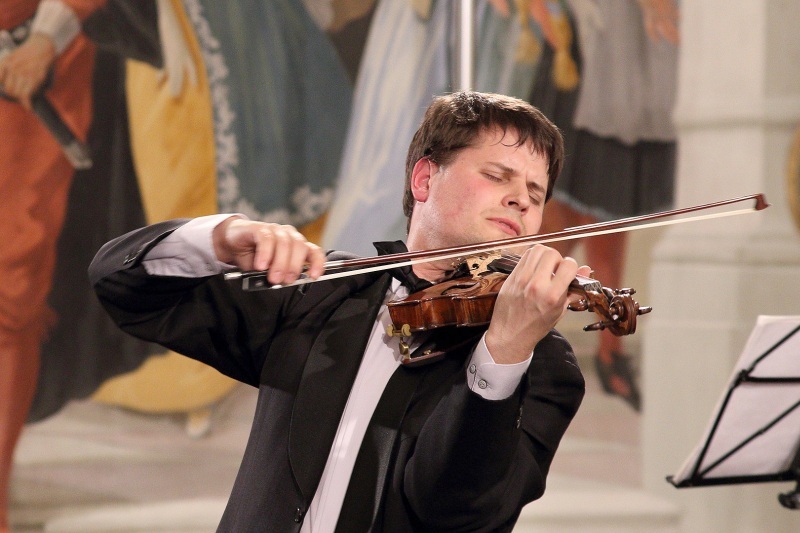 In 2009, he was awarded third prize with two special awards at the esteemed Leopold Mozart International Violin Competition in Augsburg. 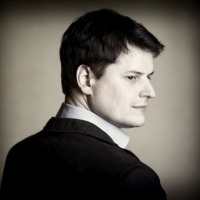 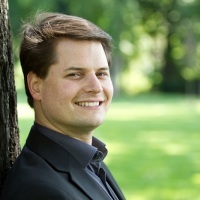 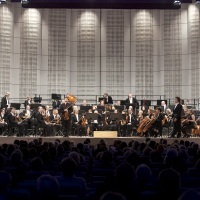 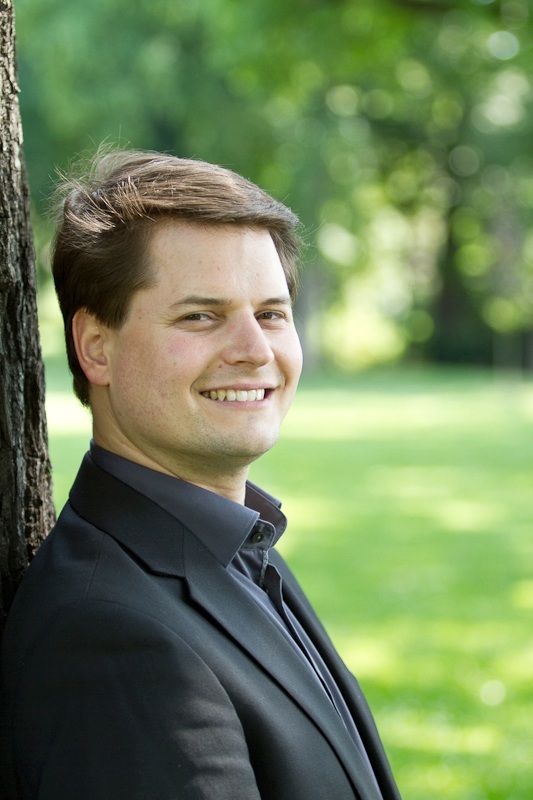 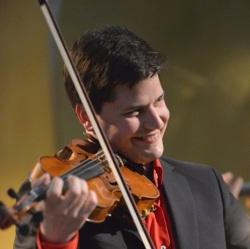 As a soloist, Roman Patočka has performed with orchestras in the Czech Republic and beyond—including the Münchner Rundfunkorchester, the Hamburger Symphoniker, the Tiroler Symphonie Orchester Innsbruck, the Filharmonie Nagoya, La Orquesta Sinfónica de Navarra, the Zagreb Philharmonic Orchestra, the Thailand Philharmonic Orchestra, the Czech Radio Symphonic Orchestra, and the Prague Philharmonia—under the baton of conductors Jiří Bělohlávek, Zdeněk Mácal, Vladimír Válek, Jakub Hrůša, Douglas Bostock, Heiko Mathias Forster, Yoko Matsuo, and Georg Fritzsch. 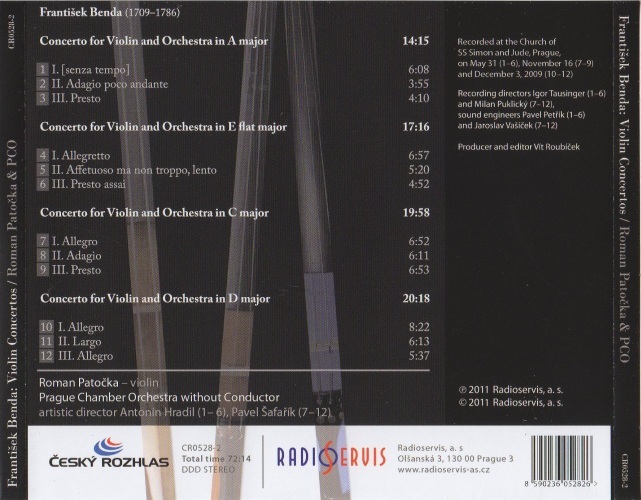 In 2004, Patočka performed Leoš Janáček’s little-known concerto The Wandering of a Little Soul with Sir Charles Mackerras and the Brno Philharmonic Orchestra. 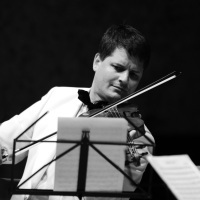 That same year, he had the special privilege of premiering Bohuslav Martinů’s Czech Rhapsody for violin and orchestra with the Chamber Orchestra Berg. 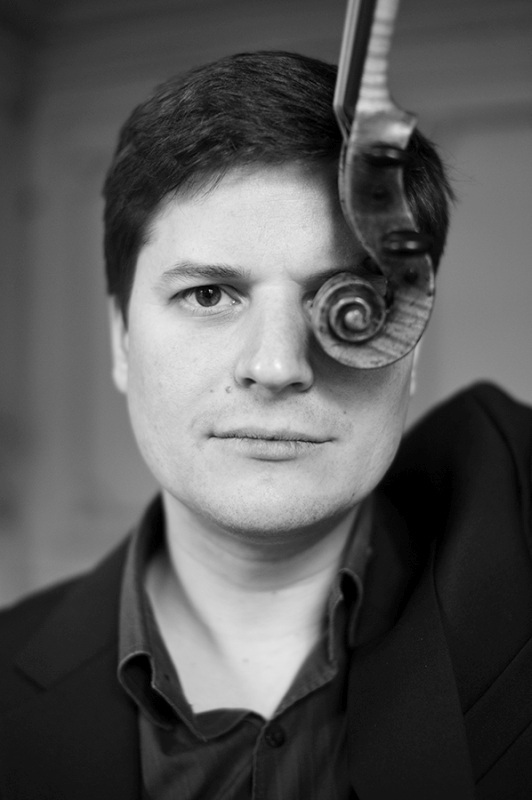 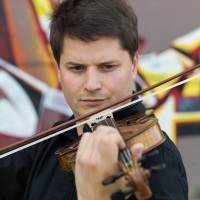 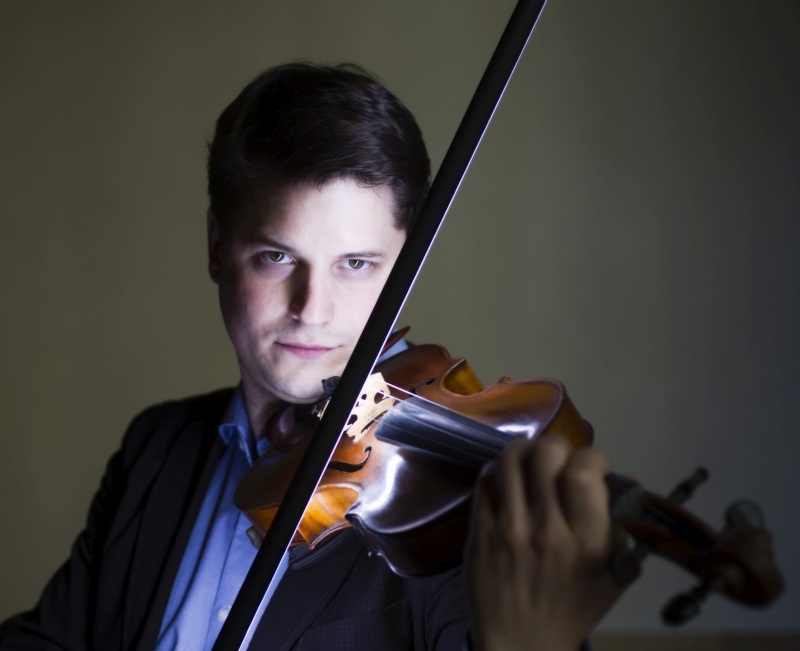 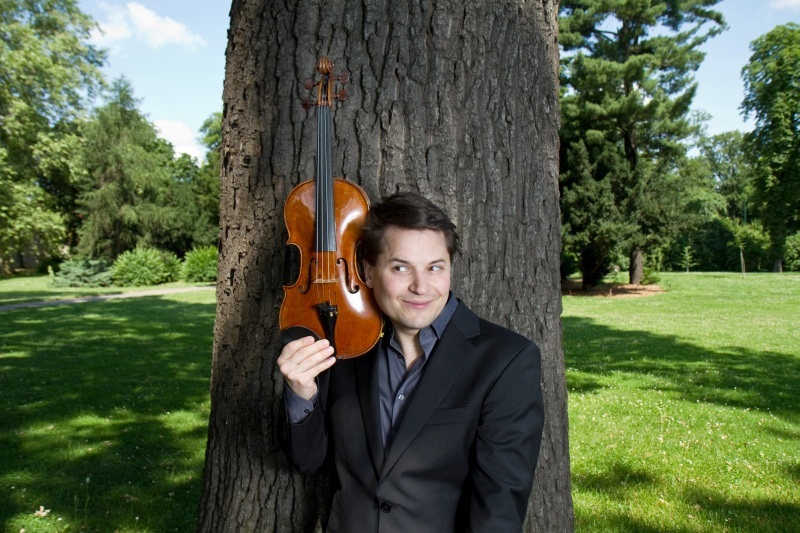 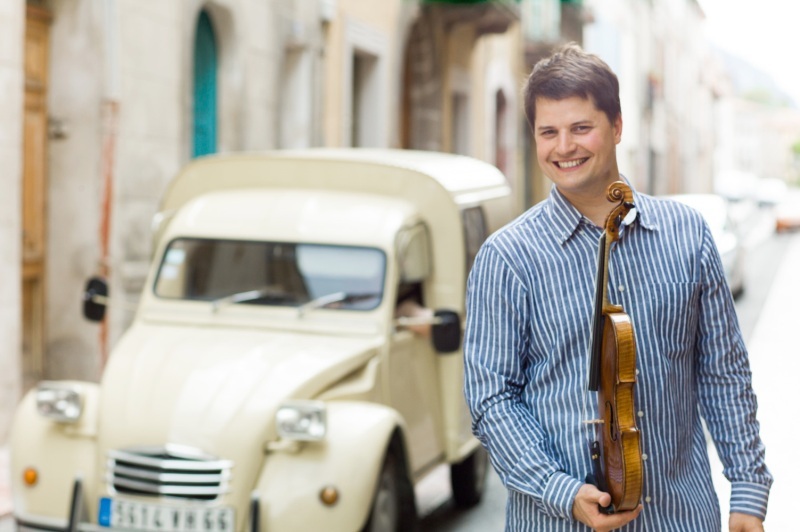 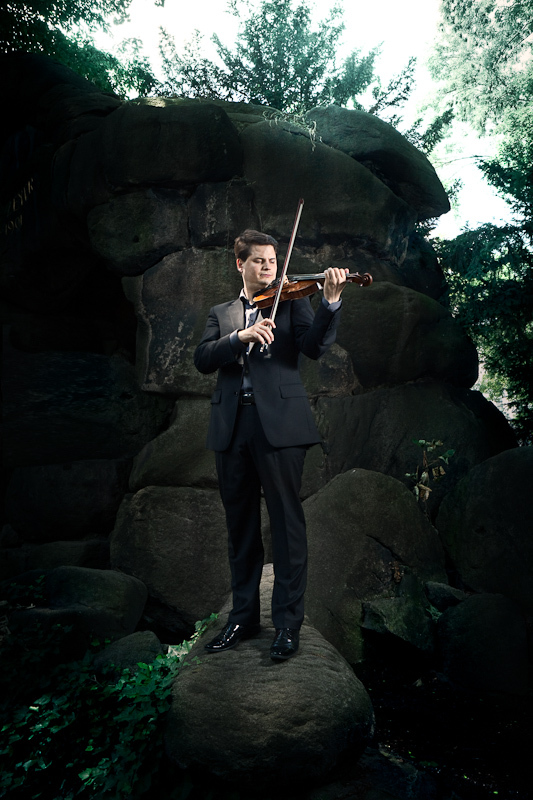 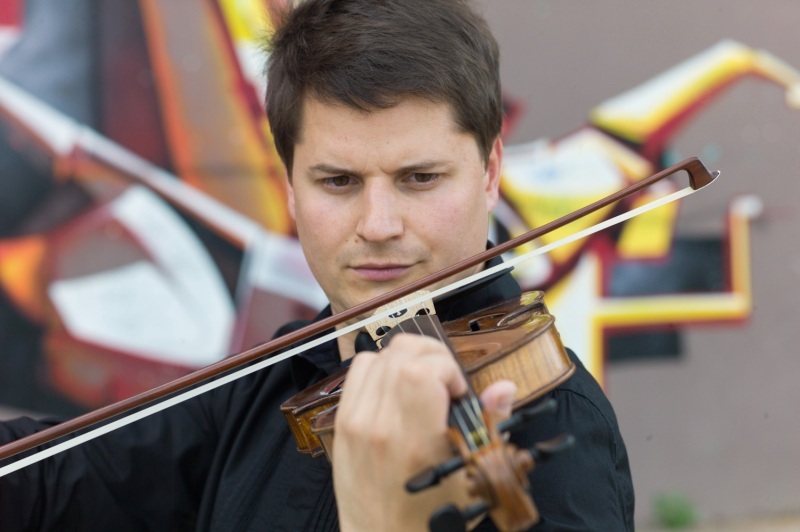 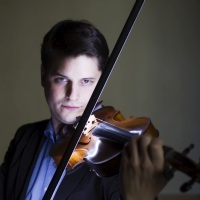 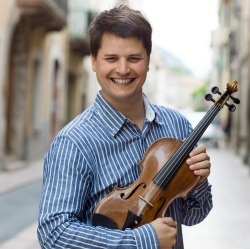 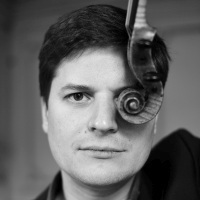 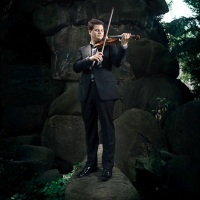 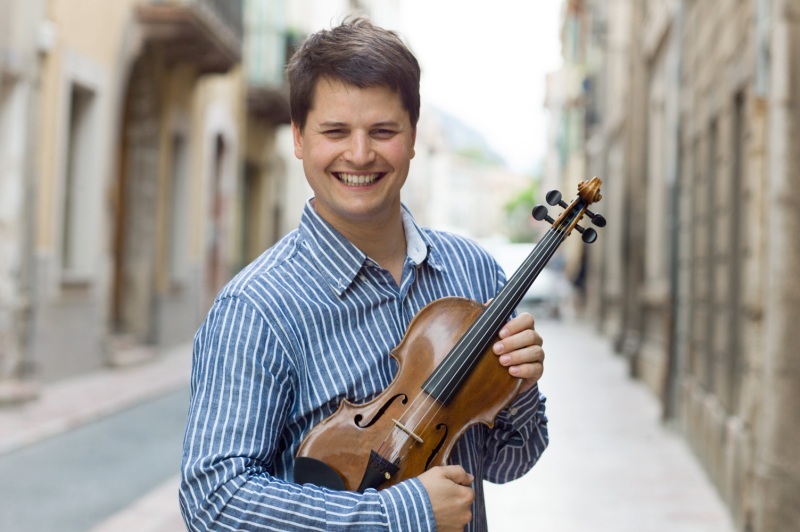 In 2014 he premiered Adam Skoumal’s Concerto for Violin and Orchestra at the Prague Spring 69 International Music Festival, and in 2015 made an acclaimed debut performance with the Czech Philharmonic Orchestra, performing Concerto for Violin and Orchestra by Jan Hanuš. 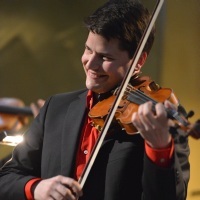 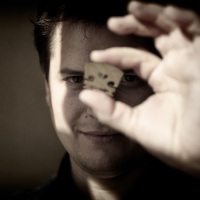 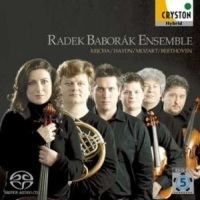 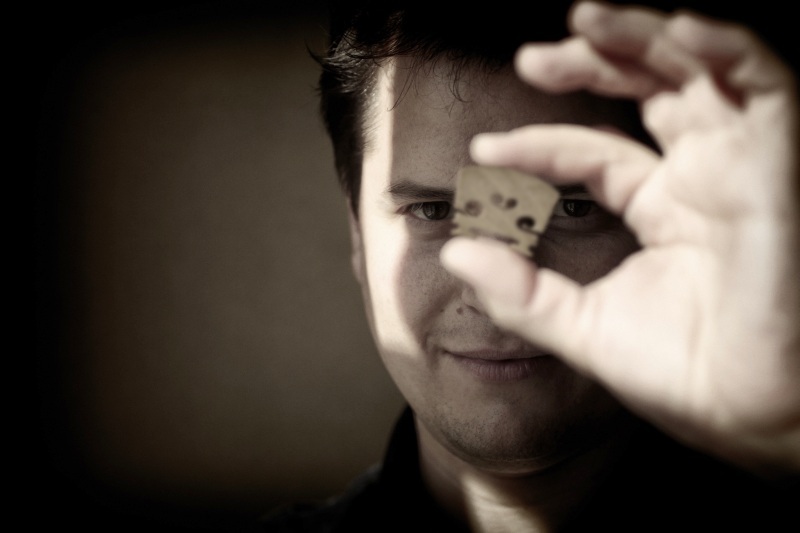 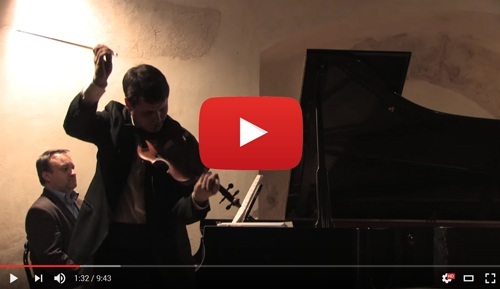 As a chamber musician, Roman Patočka has performed with some of today’s most important Czech musicians—including Radek Baborák, Martin Kasík, and Igor Ardašev—as well as internationally recognized musicians such as Daishin Kashimoto, Jennifer Frautschi, Lara St. John, Chloë Hanslip, Konstantin Lifschitz, José Gallardo, Maciej Pikulski and Roberto Giordano. 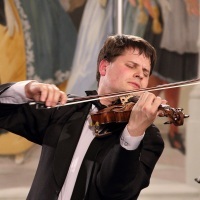 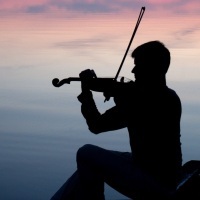 He represented the Czech Republic at the international exhibition EXPO 2005 in Aichi, Japan, and has performed chamber music around Europe at festivals such as Les Heures Romantiques au Pays de Monthodon and the Festival Pablo Casals in France. 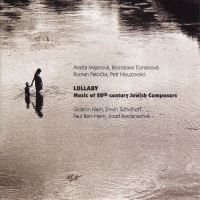 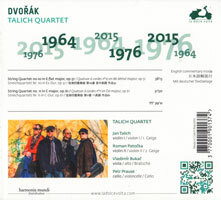 Other performances have included the Lange Nacht der Musik in Vienna, Les Journées Romantiques du Vaisseau Fantôme in Paris, the Shafran Festival at the Waldenburg Castle, the Chopin Festival in Mariánské Lázně, and the Prague Spring Festivals, among countless others. 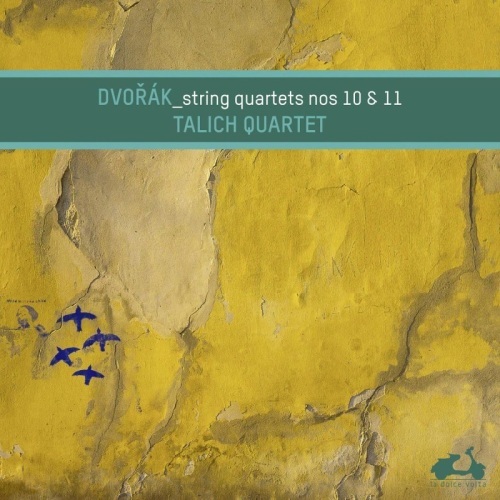 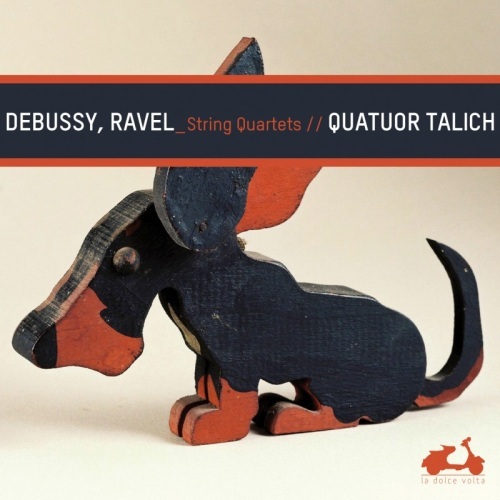 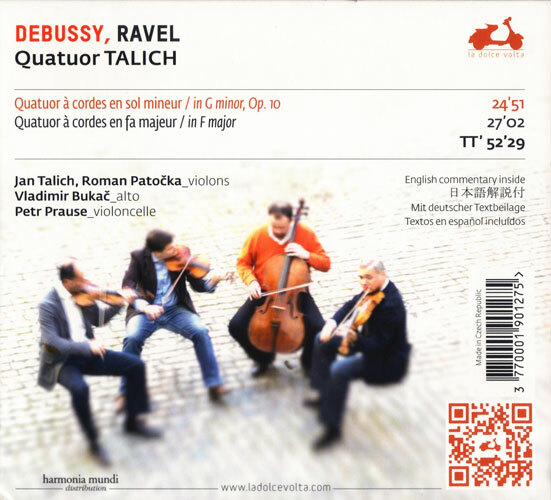 Patočka is a member of both the celebrated Talich Quartet and the Eben Trio. 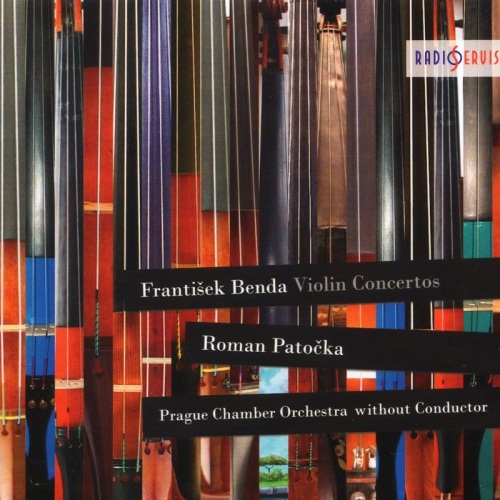 Roman Patočka’s recordings have appeared on Czech Radio, BBC Radio 3, ORF, Radio 4 Netherlands, Romanian Radio, and Japanese TV NHK. 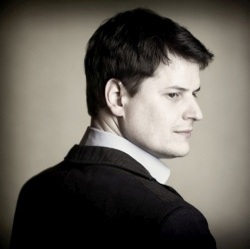 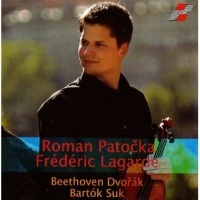 In 2006, he recorded a CD of music by Beethoven, Suk, Dvořák, and Bartók with pianist Frédéric Lagarde. 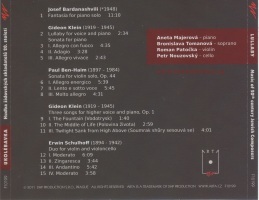 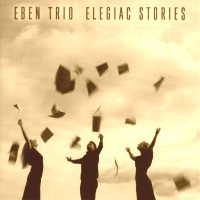 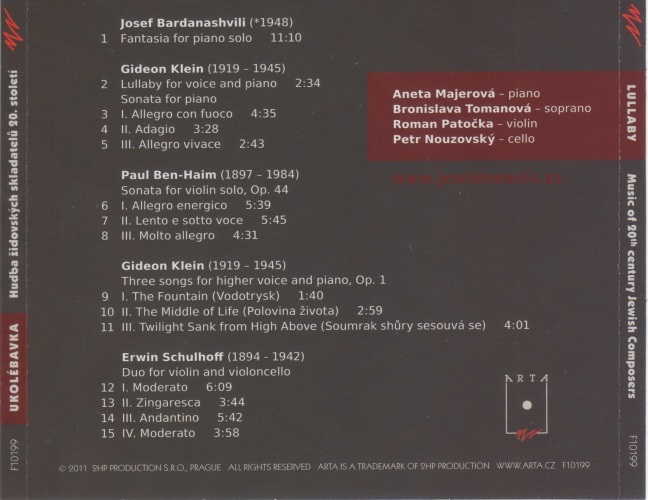 He also appears on recordings with the Talich Quartet and the Eben Trio. 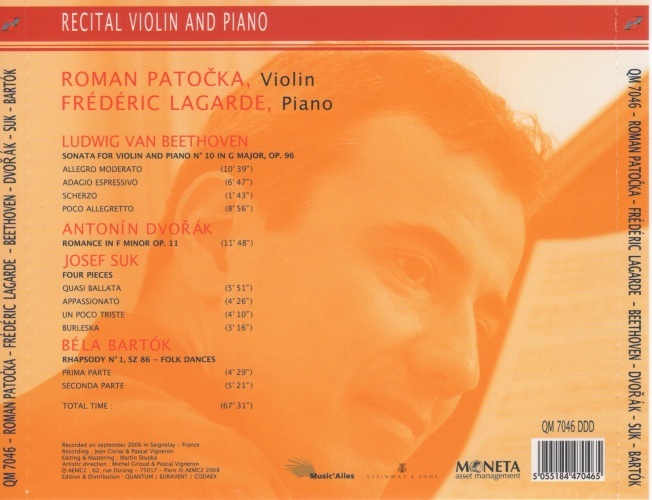 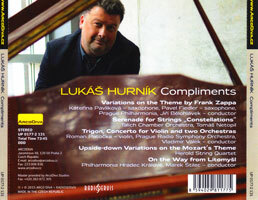 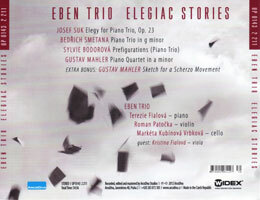 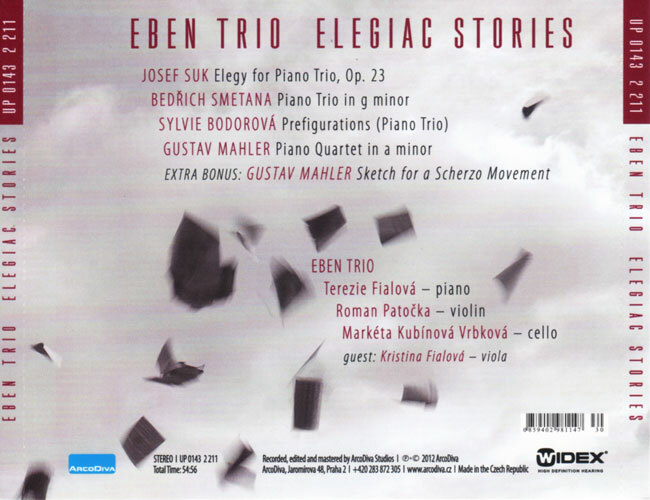 Most recently, he recorded a CD of violin concertos by František Benda with the Prague Chamber Orchestra. 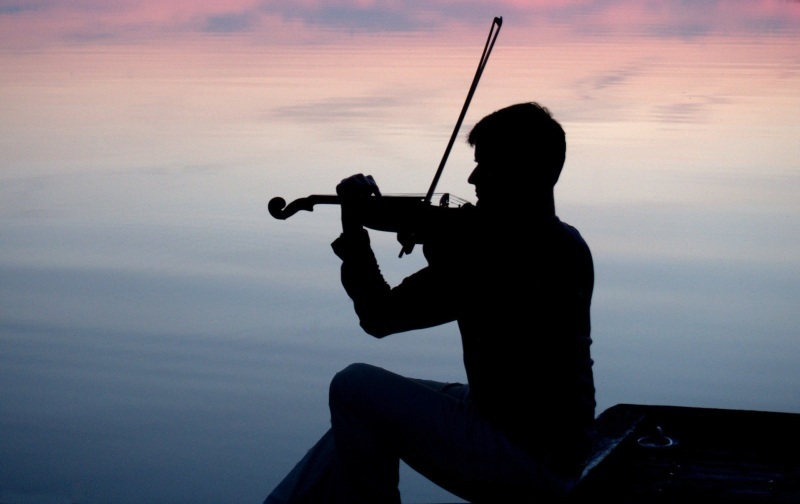 From the very first bar we were enthralled by the beautiful tone of his playing and the sense of inner musical life. 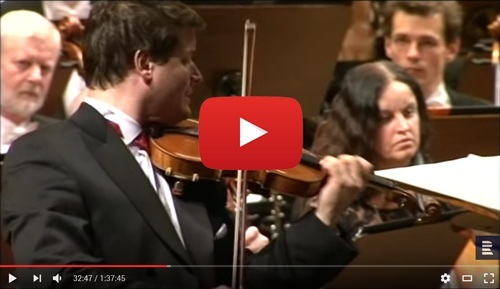 I was amazed at his sensitive interpretation of one of the longest and yet most delicate of concertos in the violin repertoire. 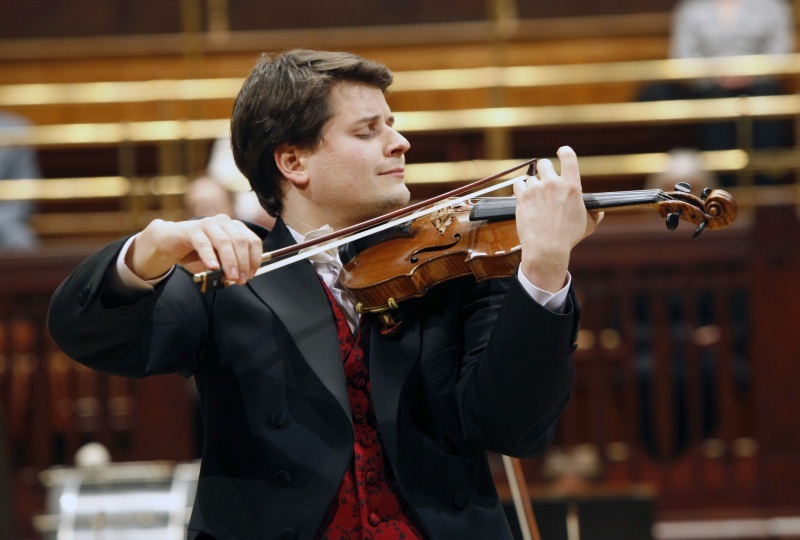 His performance was at once majestic, elegant, and tonally delightful. 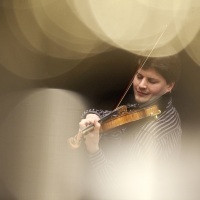 Patočka, who immediately won the audience over, played with energy and passion and was rewarded with rapturous applause. Patočka is definitely a name to watch out for. 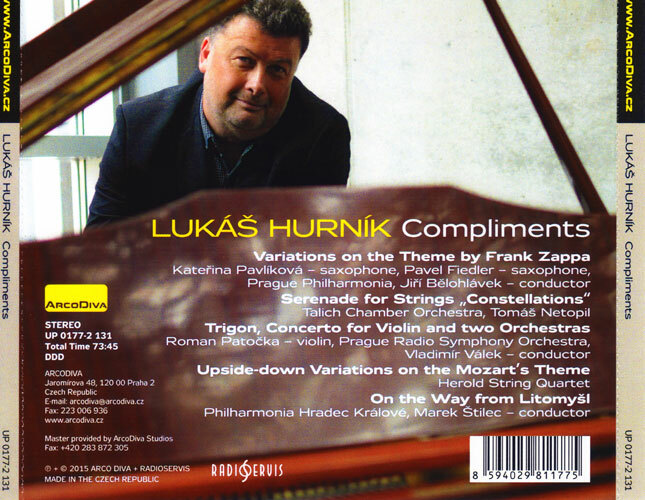 His crystal-clear intonation was captivating, not only in the technically challenging passages but also in the more lyrical sections. 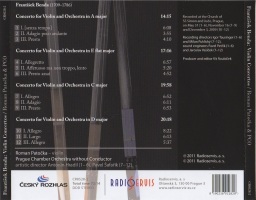 – Serenáda pro smyčce "Constellations"